Bitforms gallery specializes in exhibiting work in the realm of new media and digital art. Daniel Canogar is known for his photographic, video, and installation art. He has exhibited extensively throughout Europe and the United States, including numerous site specific public art displays. 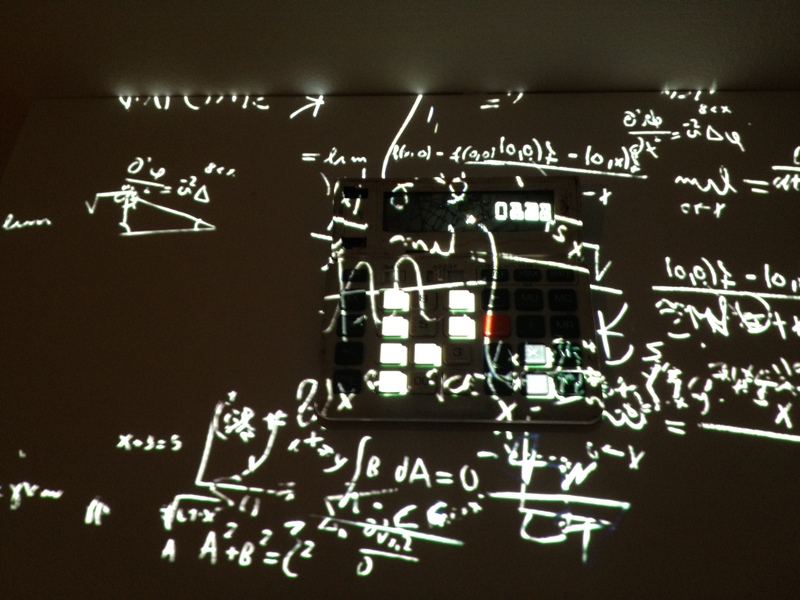 Canogar’s current show at bit forms gallery is titled “Small Data” and consists of nine small installations. Each of the nine works include some sort of used personal technical device that the artist has bathed in an overhead photographic video projection. 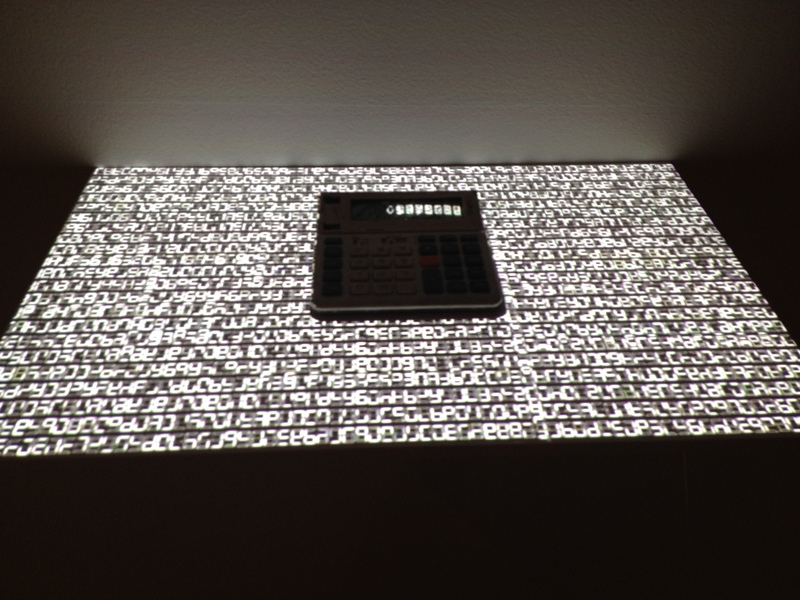 In the work “AC, 2014” Canogar uses an old calculator with a broken screen. 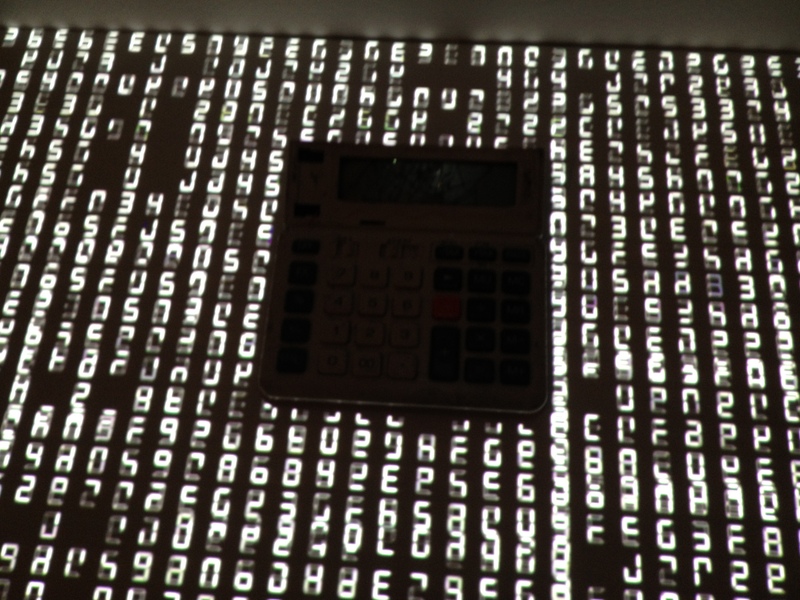 A black and white video presentation incorporating a series of LCD numbers, hand written mathematical formulas, as well as other images is projected onto the calculator. The scale of this work makes it a very personal statement about the tenuous and fickle relationships humans have with our electronic devices. The device is no longer useful for its original purpose, but the remnants of the numbers it displayed and the formulas it helped solve still linger. It seems to me that “AC, 2014” is not only about the technological apparatus, it is also a statement about society’s relationship with numbers and mathematics. 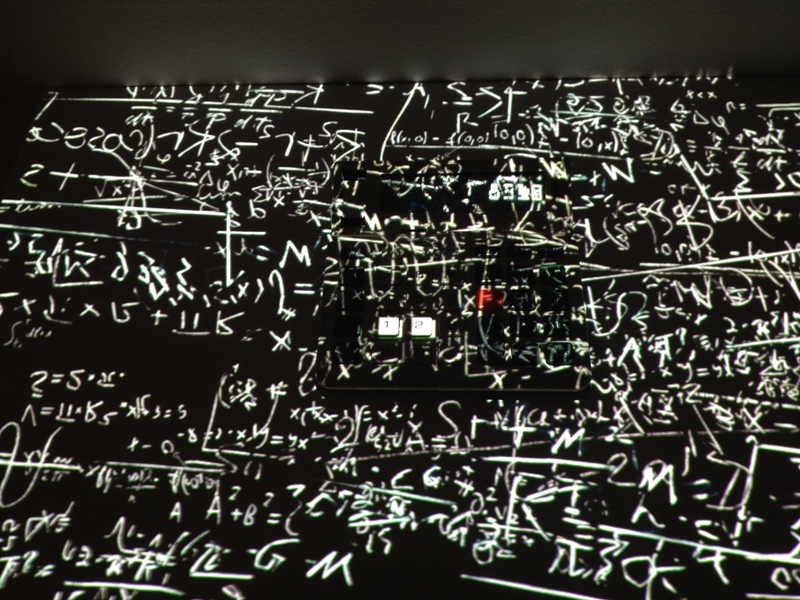 The rows of glowing calculator numbers, as well as the scribbles of formulae – that accumulate and then recede – create a sense of anxiety.